WOWEE! This is an amazing addition to the already gorgeous Footscray Park. We see lots of playgrounds in our travels and this is one of the best. It has a fantastic mix of nature play making good use of existing established trees to create some natural shade. 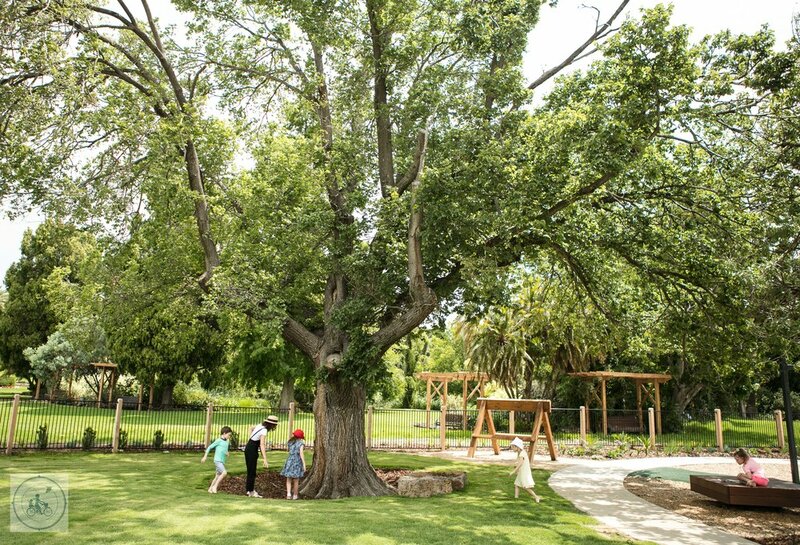 They have some well selected play equipment plus the gorgeous garden beds and flowers really make it a place you want to sit and relax whilst the kid play. 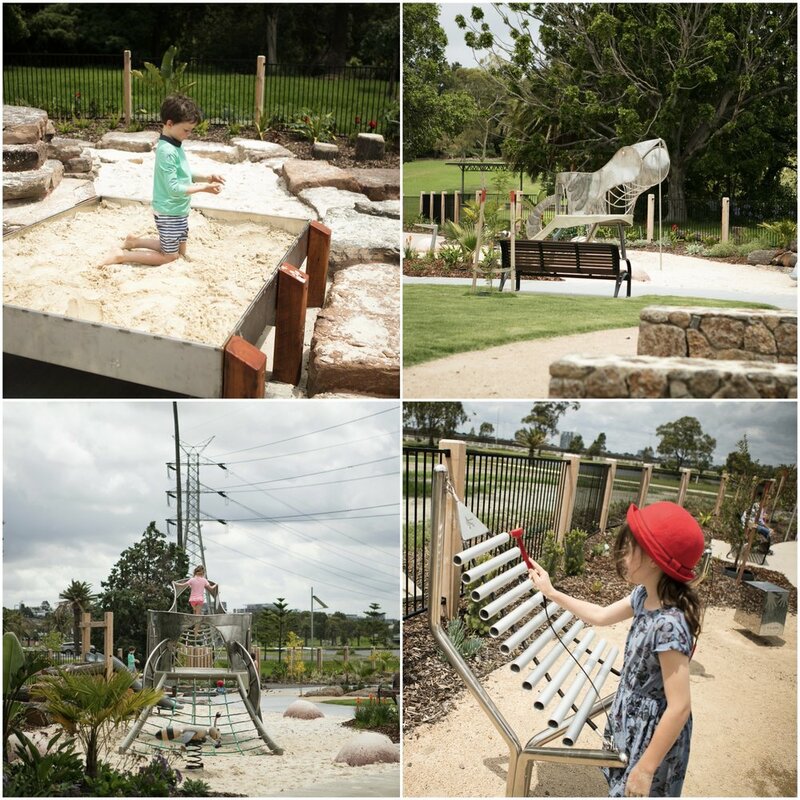 There is heaps of fun to be had here with two flying foxes, a carousel, climbing frames, slides, nest swing, musical instrument section, water play and a sand pit just to name a couple of the highlights. Mamma loves that kids of all abilities can enjoy something here too with a path and soft fall that goes all the way around the park there is a good range of play options for everyone of most ages. You will also be pleased to know that it is mostly fenced in too - excellent considering it is right on the Maribyrnong river. It is really in the perfect spot to view the city, overlooking the river, surrounded by the lush parklands and views of Flemington Racecourse too. Bring a towel and togs folks - as the water jets and splash zone is WAY too tempting for the kids to get a little soaked and there is the water pump and creek bed too. Kids PLUS water always equals WET! Mamma’s special mention: Don’t forget there is going to be an amazing FREE Family Friendly New Years Eve Celebration happening at Footscray Park The addition of this play space is perfect timing.